After having killed deer with both the Barnett Ranger and the more modern RC-150 compound-limbed crossbow, I am satisfied that they will, indeed, do the job on close-range deer. Advantages of this crossbow are its adjustable stock, light weight, reasonable trigger (3-4 pounds) and over-all utility. The only shortcoming that I have found with the crossbow are that its short (16 1/4-inch) thin-walled aluminum arrows are easily bent and difficult to find in retail outlets. I would suggest trimming some half-moon knocked carbon arrows and trying these with 125 and 100 grain points to see how they perform. More arrow drop will be seen, but this crossbow is best used at ranges of about 25 yards on small to average-sized deer. Even so, the aluminum shafts that come with the crossbow will kill a deer, but are likely to be bent penetrating the animal. Products and/or payment were furnished by the manufacturer. After two years of using the products I am pleased to recommend Tree Lounge’s, Ground Lounge and Elusive Whitetail climbing stand. The Ground Lounge ($79) is particularly addaptable for turkey hunting and the Elisive Whitetail climber ($279) is a very stable stand that can be used in facing-tree or away-from-tree modes. Tree Lounge (original $299) stand production has returned to the U.S., and this is among the few that are still made here. They still offer their Tree Lounge stand with accessories. These may be ordered by E-mail from www.treelounge.com. As all of the named products start at less than $300 they have earned the Backyard Deer Hunting endorsement. Products and/or payment was provided by the manufacturer for the placement of this ad. 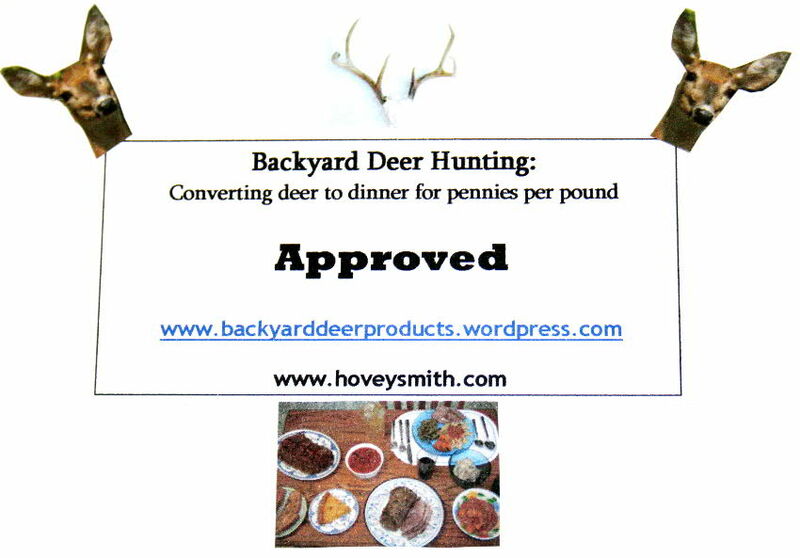 Lifting elements from the cover design of Backyard Deer Hunting: Converting deer to dinner for pennies per pound and adding an indifferent set of antlers, I composed the approval stamp that will be used with all products. This stamp will indicate that I have tested the products and judged them to be useable, low-cost items that will get the job done so far as killing, transporting, processing and cooking game are concerned. 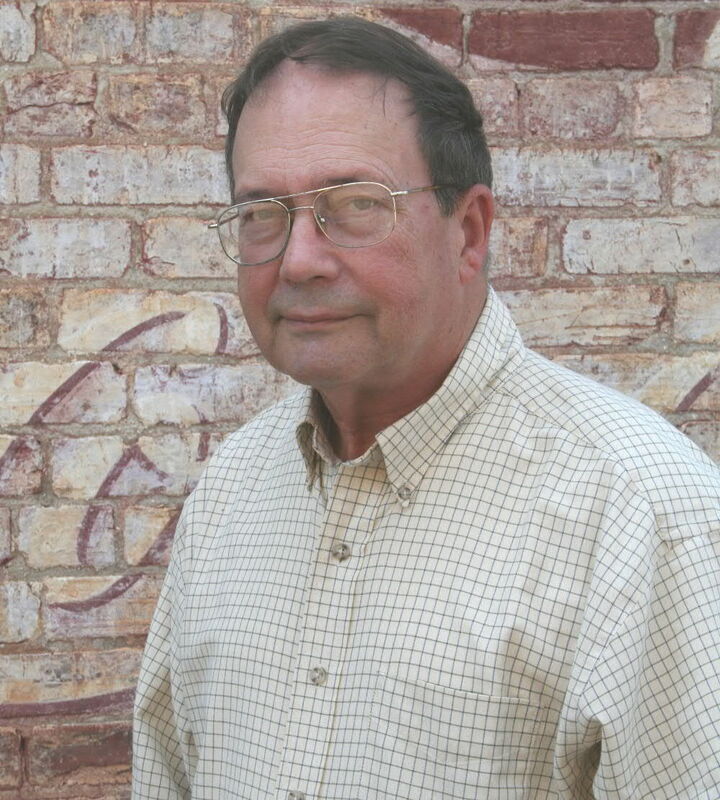 No spectacular antlers were used, because the thrust of my book and this blog is about putting deer meat on the table, rather than heads on the wall.